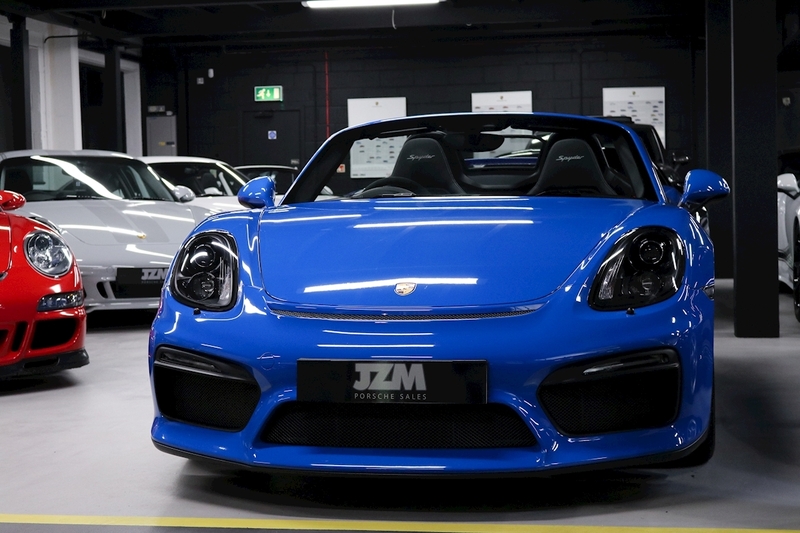 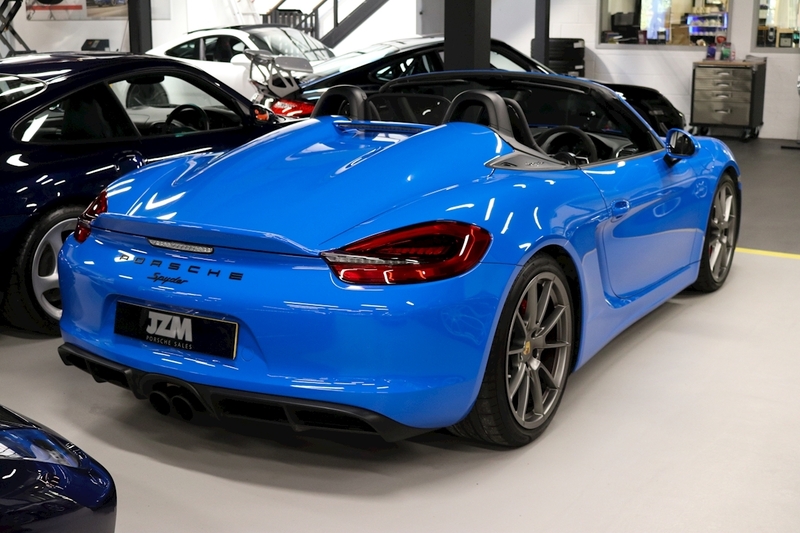 JZM are delighted to offer for sale this eye catching PTS Boxster Spyder. 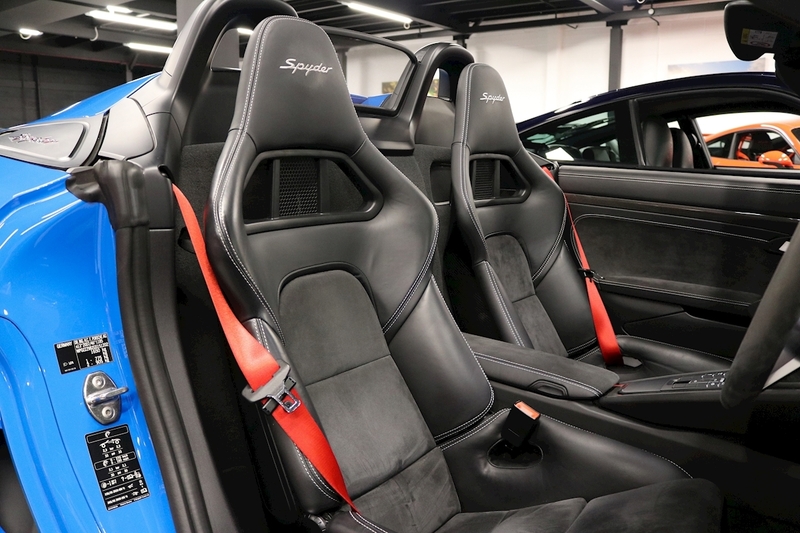 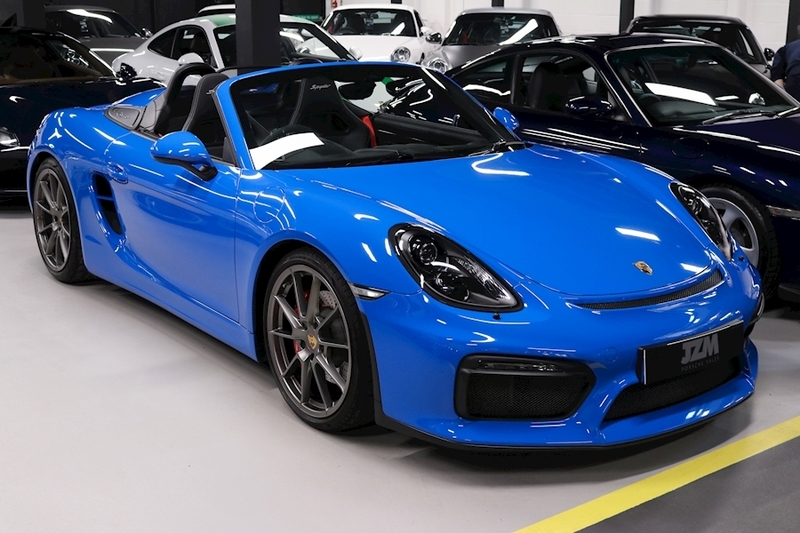 This Spyder is presented in one of the most desirable PTS colours of recent times, Voodoo blue. 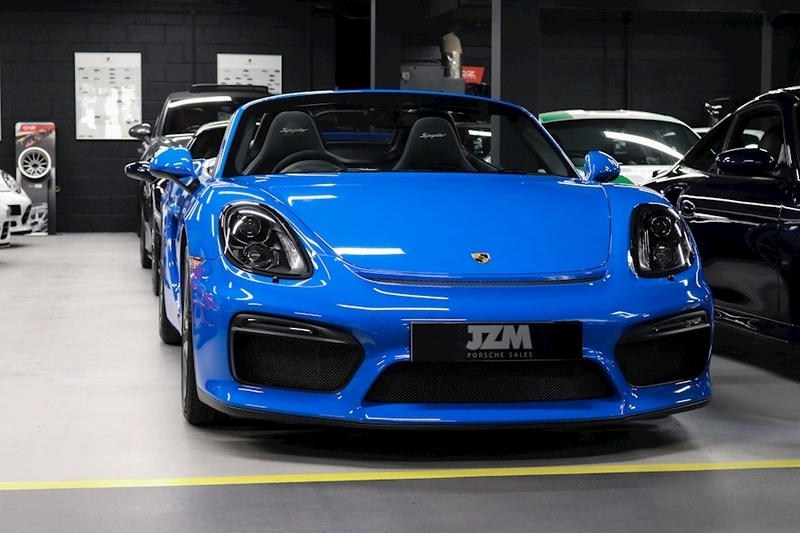 This Porsche is particularly well known to JZM having sold it two years ago to its current keeper, we have also serviced the car three times now, hence we have known this car since day 1. 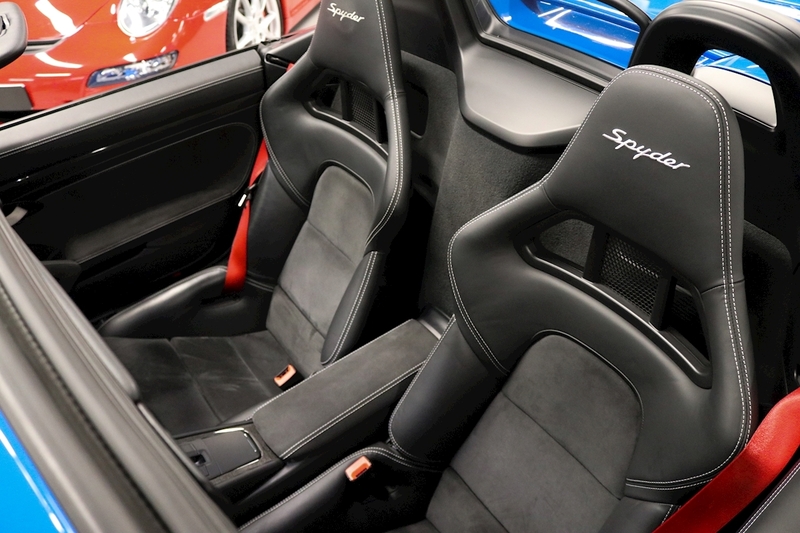 Best not delay your phone call as Spyders in this colour and condition are not exactly common place. 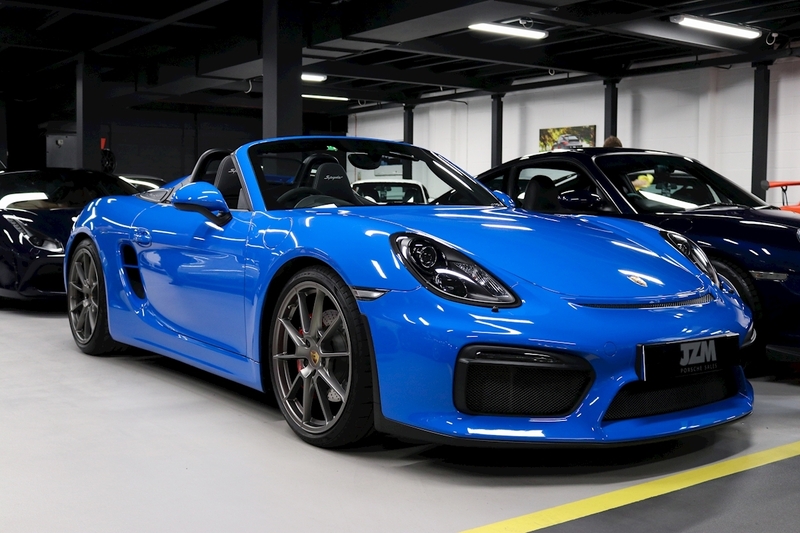 The concept behind the Porsche Boxster Spyder was a return to the original Porsche sports cars, hand-built in Austria by dedicated craftsmen. These cars were pure and unfiltered, connecting the driver directly to the Porsche experience. 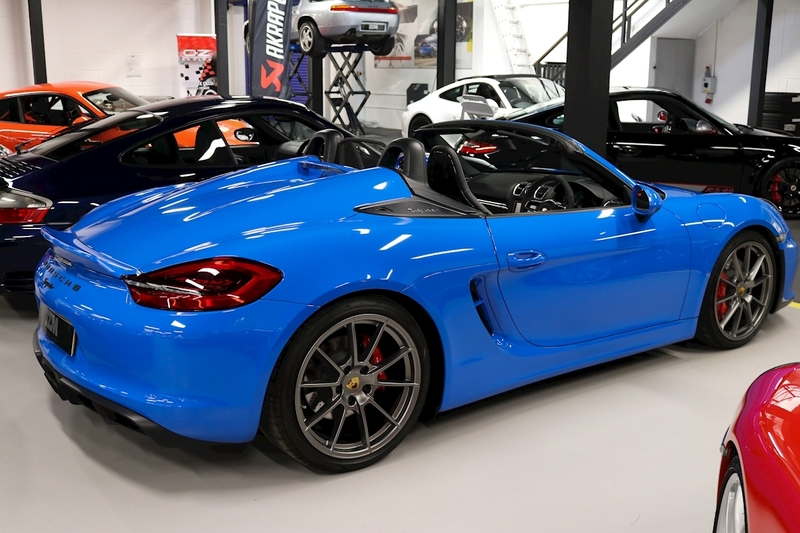 So it is with the Porsche Boxster Spyder. 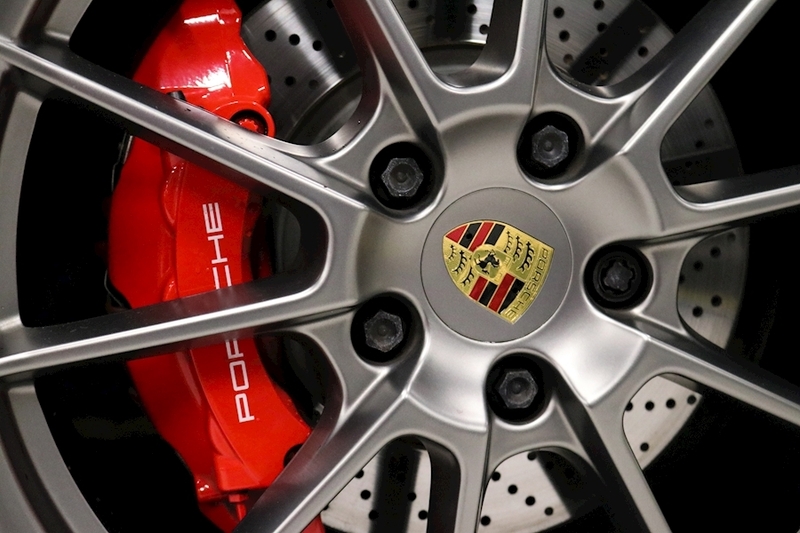 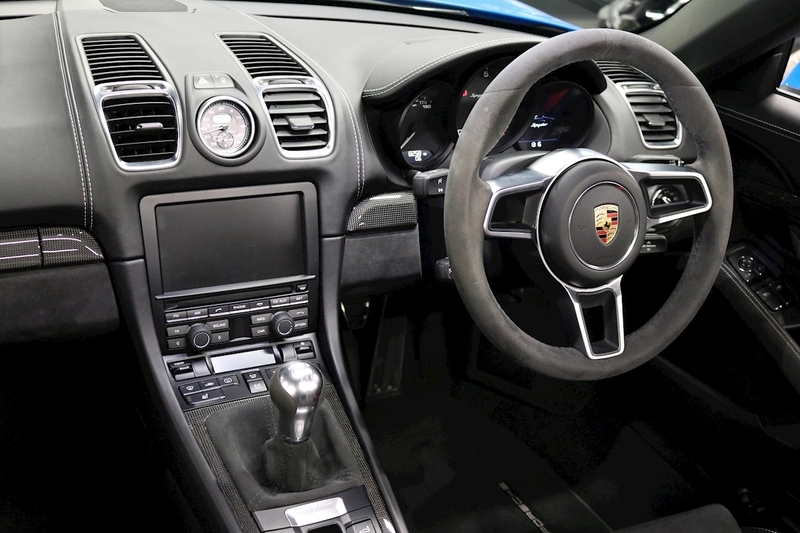 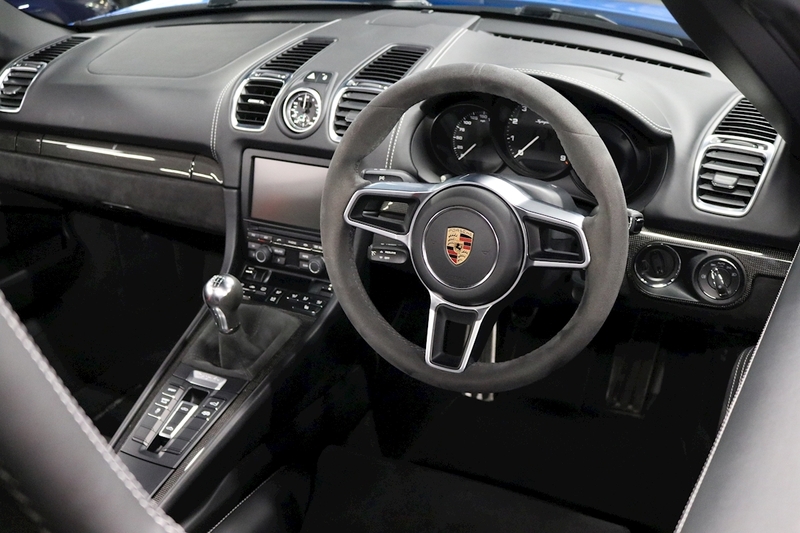 Already regarded as a classic Porsche design, the 981 Boxster Spyder delivers the pure joy of driving. 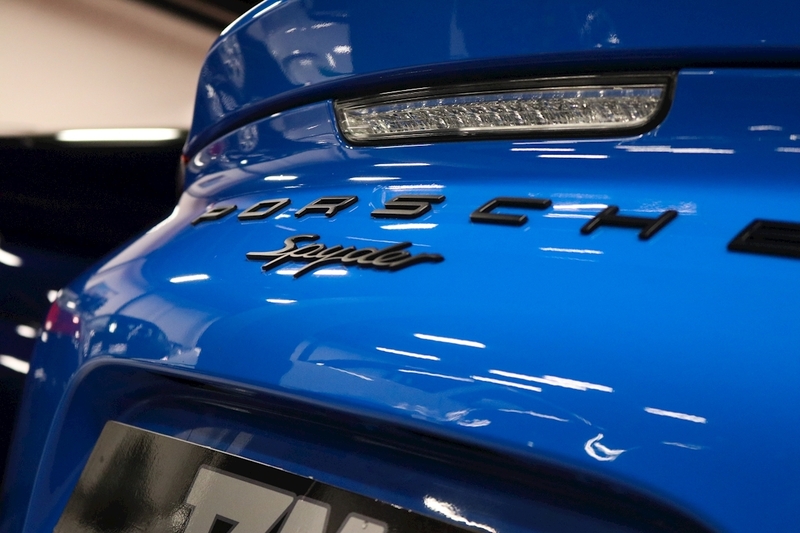 Though unashamedly attractive, this is no mere fashion accessory. 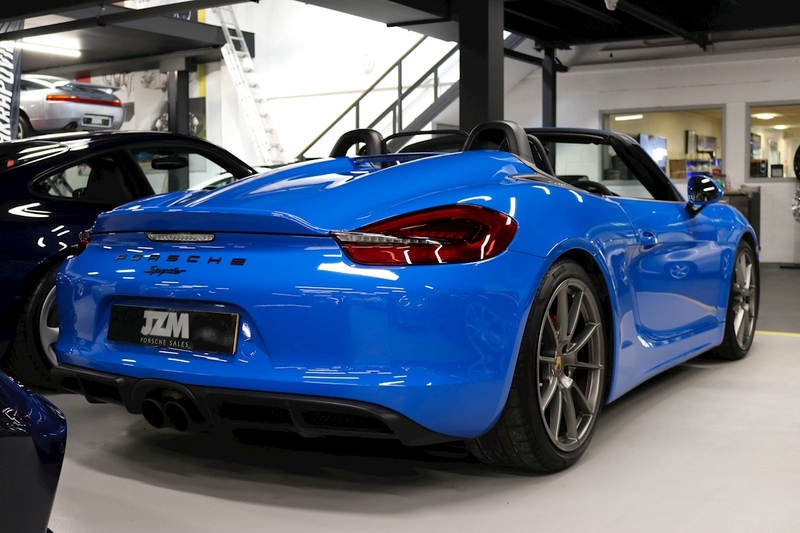 The lightweight Porsche roadster takes us back to the roots of what makes these cars special: quality, engineering and timeless design. 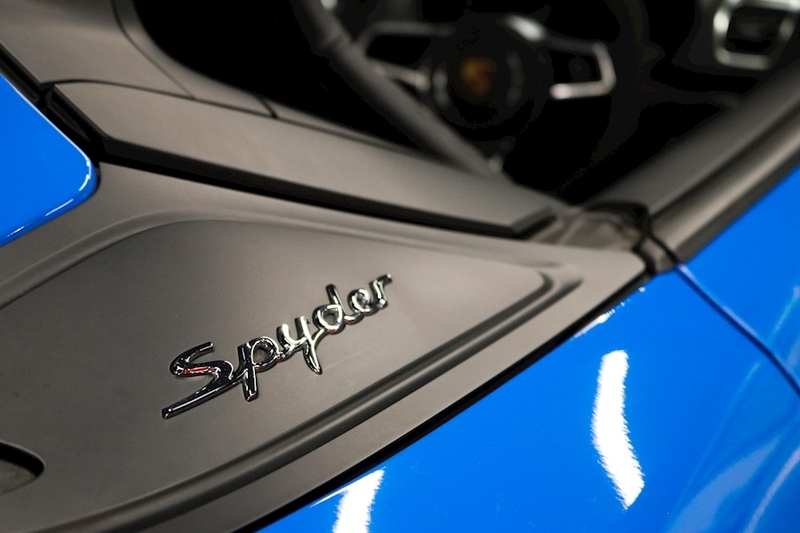 Few modern production cars encapsulate the essence of sportscars quite like the Spyder. 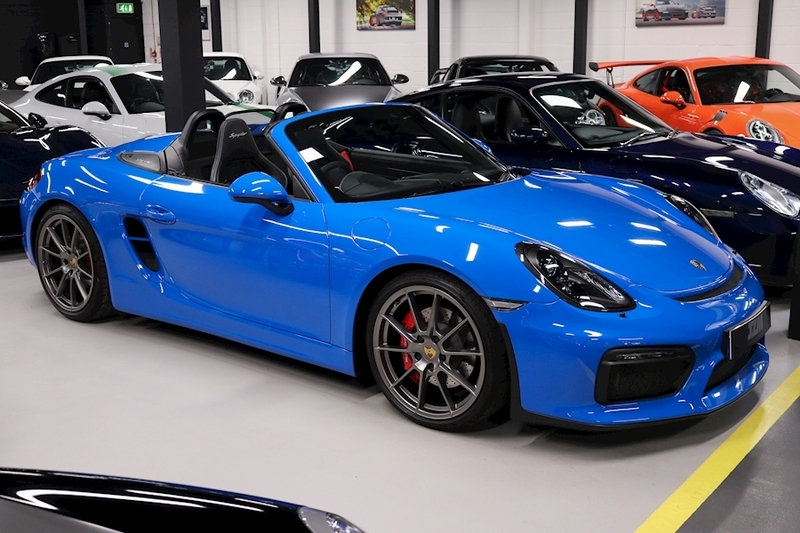 Equally relaxed on the daily commute, in European touring or on track day fast laps, the mid-engined, 3.8-litre flat six has (literally) got your back in all situations, and is sure to become your best friend. 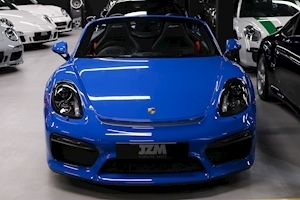 981 Boxster Spyder First Registered During April 2016 Full JZM Service History (3 Stamps) 2 Owners From New PTS (Paint To Sample: Voodoo Blue) Black Extended Leather / Alcantara 6 Speed Manual Transmission Air Conditioning Carbon Folding Sports Buckets Seats Heated Seats 20” Boxster Spyder Alloy Wheels Wheels Painted In Platinum Wheel Centres With Full Colour Porsche Crest Sports Chassis -20mm Without PASM Sport Chrono Package Bi-Xenon Plus Dynamic Cornering Lights (Black) PDLS+ Dynamic High Beam Automatic Speed Control Smoker Package Dynamic Engine Mounts Tyre Pressure Monitoring Wind Deflector Top Tinted Windscreen CD Radio Porsche CDR 31 Decorative Dashboard Trim In Carbon Centre Console Trim In Carbon Sports Exhaust System Seat Belts in Guards Red.